We’re not just talking about live streaming webinars or big-budget multi-camera events here. Live streaming of that sort has been around since the 90s. 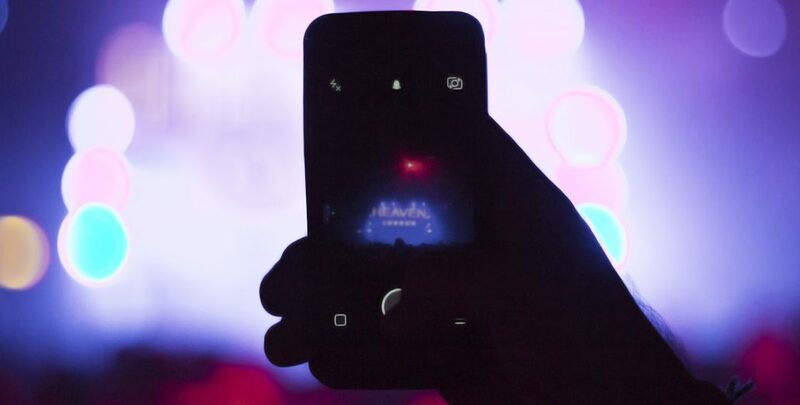 It’s social live streaming that’s going to change experiential marketing forever, and so it’s social live streaming that we’re here to blog about. Given its power, social media live streaming has become the favorite marketing tool of major global corporations, entrepreneurial stay-at-home moms, and a whole host of brands in between. So we’re here to share some of our institutional wisdom on going live. Where? is perhaps the most important question a brand can ask when going live. 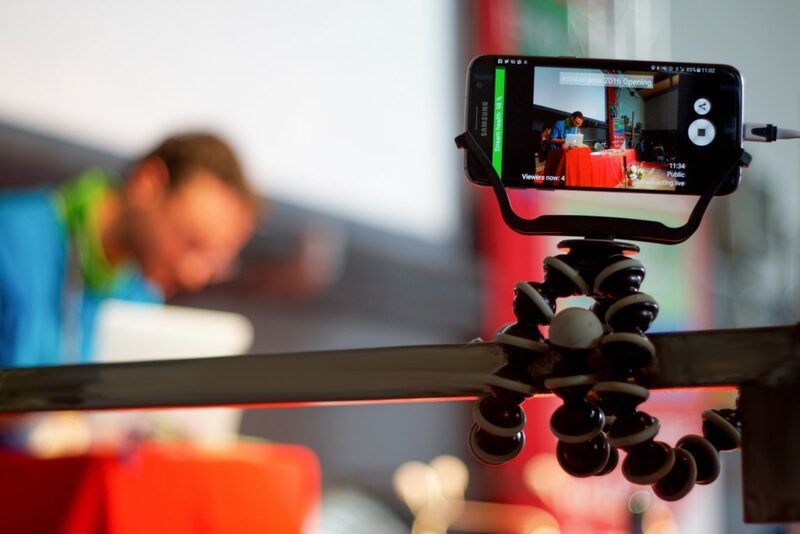 Since Livestream.com popularized this technology a decade ago, the live streaming vertical has grown into a dense ecosystem of competing brands that inspire lengthy pro-con lists. As with live events, so too with live streams: we’re strong believers in meeting our targets where they work and where they play. That’s why we recommend taking advantage of technologies like Facebook Live, Google’s YouTube Live, and Twitter’s Periscope. While other live streaming platforms like Meerkat and Twitch have developed devoted followings and stellar technologies, there’s just no competing with the value of easy discovery and pre-existing audiences that exist on what we like to call The Big Three of social media live streaming. Last February, Dunkin’ Donuts became one of the first brands to go live on Facebook. Their valentines cake-and-donut-making event drew 21,000 views in 13 minutes. A month later, Facebook announced that people were watching live streams three times more than pre-recorded video. Facebook’s brand appeal needs no explanation. But we’ll give one anyway. Facebook is the world’s most popular social network. It is the third most visited website in the world (Google’s in first, followed by its subsidiary, YouTube). Americans stream videos there more than they do anywhere else. With nearly 2 billion users logging in worldwide, Facebook offers one hell of a captive audience. Plus, most brands have already begun to develop robust Facebook followings, which greases the wheels for pre-broadcast promotion. Users who have a history of engaging with your page will get notifications when you go live. And if you schedule up to one week in advance, consumers will have the opportunity to sign up for reminder notifications about the broadcast. Of course, you can also send in-platform invites just as you would for any other event. Once you go live, viewers will be able to comment and post emoticon reactions in real time. If you’ve shared your location, strangers are all the more likely to stumble across your broadcast, and viewers may even decide to attend the live event if they’re in the neighborhood. You can film for up to an hour and a half; Facebook recommends that you use at least 10 minutes of that time. Once it’s all over, the video saves to your page and Facebook’s analytics will give you information and infographics that measure things like views, comments, and moments of peak engagement. Facebook’s API service allows industry professionals to elevate their broadcast, incorporating advanced technologies, special effects, on-screen graphics, and more. YouTube Live has played host to presidential debates, sporting events, and at least one royal wedding. If you’re going to post a video, it makes sense to do it on the world’s most popular video streaming site. Plus, as a subsidiary of Google, YouTube live streams get great SEO, which is more than can be said for Facebook. Perhaps its search engine performance is meant to make up for what it lacks in promotional power. Unless your brand’s channel has developed a large subscription base, it’s difficult to compete with the native promotional powers of Facebook and Twitter. Still, YouTube’s shareable and embeddable links make it possible to harness the power of those social networks. Those links also make it possible to use your live stream as a lead generator. By making your video undiscoverable, you can restrict access to consumers who provide their emails or complete other calls to action in advance of the broadcast. Or you can keep your video public to maximize reach. Other YouTube advantages include its unique 360-video live stream capability and the practical life spans of videos post-broadcast. While other platforms keep recordings of live streams accessible after events have finished, those videos can be hard to find. Facebook and Twitter value the immediacy of content while YouTube puts quality first. YouTube’s first-rate content will be particularly easy to find after-the-fact and YouTube’s superior search functionality will guarantee your video practical immortality. Periscope launched in 2014. A year later, Twitter acquired it for the low, low cost of $90 million. Today it boasts over 10 million users who watch 40 years worth of content every day. While neither Periscope’s nor Twitter’s membership bases rival Facebook’s, it would be a mistake to count them out. Facebook has proven to be the world’s favorite forum for private networking, but Twitter is the internet’s agora for breaking news. In fact, sometimes the happenings on twitter are the breaking news. From revolutions to scandals to high profile debates — ideological and personal — Twitter has proven itself the ultimate forum for learning what’s happening now. Which makes it an obvious choice for live streaming. Periscope and Twitter are well integrated so live streamers can choose to go public on either or both platforms. Content-creators can use Periscope’s sketch feature to enhance videos or fill dead time. Meanwhile viewers can comment and send likes. Following the stream, Periscope provides advanced analytics that offer general viewing information as well as specifics about who was watching and for how long. As with the other platforms, videos will live on after the initial broadcast. Once you’ve picked your platform, it’s important to make sure that you’re live streaming compelling content. As with any event, there’s really just one key question: what’s the value add? Every live stream should give consumers a unique experience of some kind — special access to a special event, something beautiful, something weird, enriching, or entertaining. You can enhance event live streams by bringing the digital audience behind the scenes or featuring exclusive interviews and Q&As. The key here is to tell a compelling story. You can get literal about value add by offering give-aways. These can be physical objects mailed to lucky winners or digital content downloaded via exclusive links. The latter strategy can be used to generate leads: you can ask consumers to register at a landing page before downloading the content. Hiring a celebrity to host the live stream can draw a larger audience and enhance the experience. Especially if your celebrity host is going to respond to comments in real time — that’s one of the best ways to make the digital audience feel as though they’re physically present. Usually, we have staff monitor comments and select questions for the host to answer. Depending on the platform you’ve chosen, commenters can hashtag their questions for easy discovery and hosts would do well to address commenters by name. When events have dead time, do what ESPN does: cut to your talking heads — a branded news desk staffed by talent. They can conduct interviews, discuss the event, answer comments, and facilitate giveaways. You can also script these interactions, which makes for a nice breath of fresh air in the midst of an unpredictable event. Some platforms offer additional time-filling capabilities. Periscope allows you to sketch on screen during live performances — a great tool for occupying dead space and also for augmenting keynotes and product demonstrations. With Facebook Live API, you can also instant replay, overlay on-screen graphics, and incorporate special effects. You can even cut to content being filmed by a drone. Once you wrap, make sure to thank your audience, incorporate a call to action, and let them know about your next event. And don’t forget: all three of these platforms allow your video to live on after the broadcast. So make sure to post-promote your video. Then get to work planning your next one. The michael alan group is a full-service experiential marketing agency & event production company. Check out our work and our team, and drop us a line to chat about bringing your event to life, both in-person and online.